The multiple-user family kitchen had limited countertop area, a pie-shaped small pantry, and an enormous desk that wasted space. It was very difficult for more than two people to work in the 1980s traditional-slye kitchen.The family of five had to take turns cooking and cleaning. The room was always dark. The large desk was always cluttered. The remodeled kitchen has a large, uninterrupted countertop that the entire family can use simultaneously, with a separate baking-preparation area, a cleanup area, and food preparation-cooking area — preparation and cleanup are a joyful experience. A large prep sink is between the refrigerator and cooktop at the end of the new peninsula, easily accommodating three people. When the family entertains, there is an enormous serving-buffet area adjacent to the eating area. 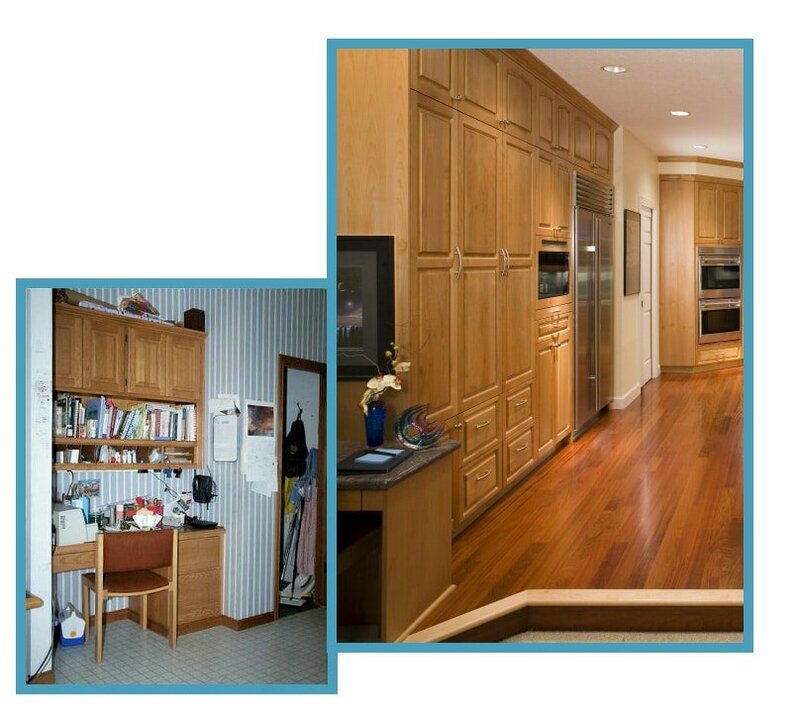 The remodeled kitchen has nine feet of custom pantry cabinets, making storage and retrieval a delight. 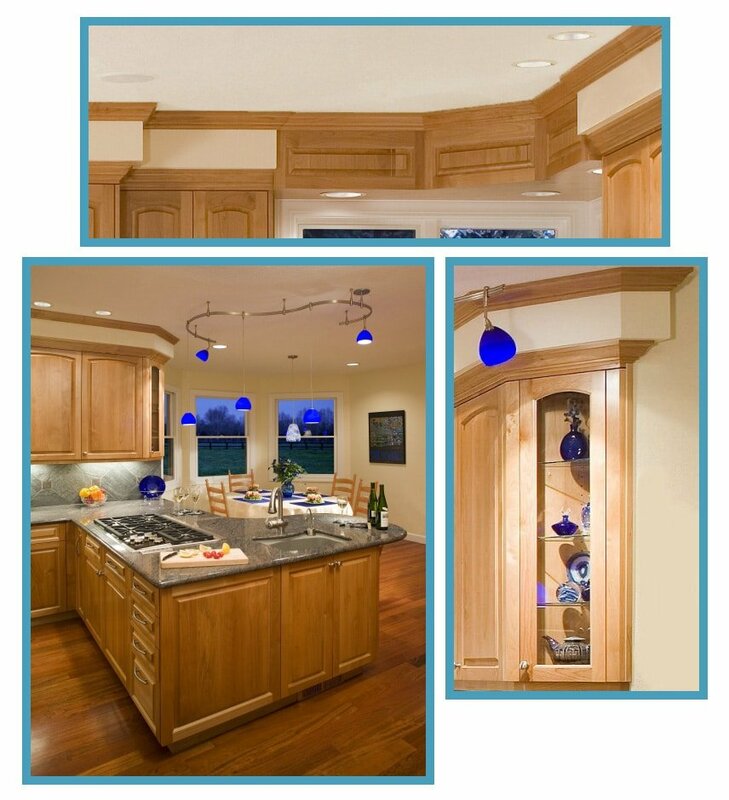 The kitchen has state-of-the-art dimmable lighting providing maximum flexibility for all kitchen activities.